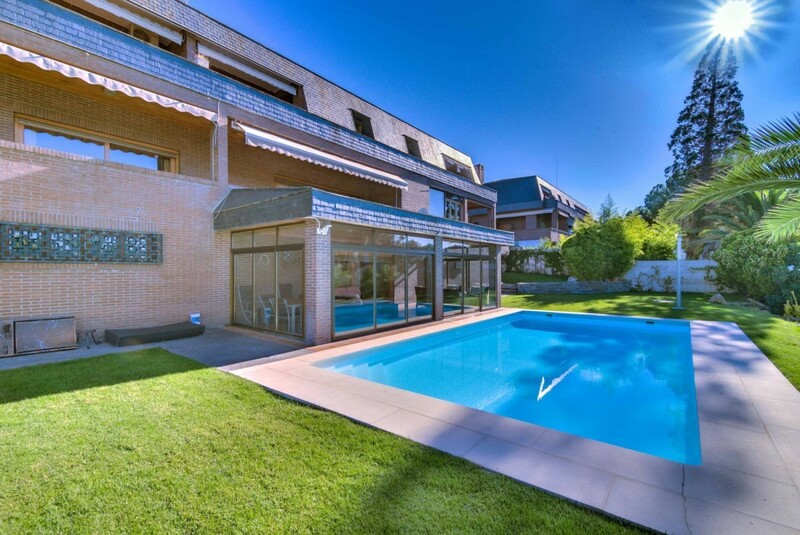 Detached villa in the urbanization LAS LOMAS, strategically located between Majadahonda and Boadilla. The house is built with a typical style of the area, which provides both charm and timelessness. Although it is from 1989, it was totally reformed just 1 year ago, with unsurpassed qualities and taste. 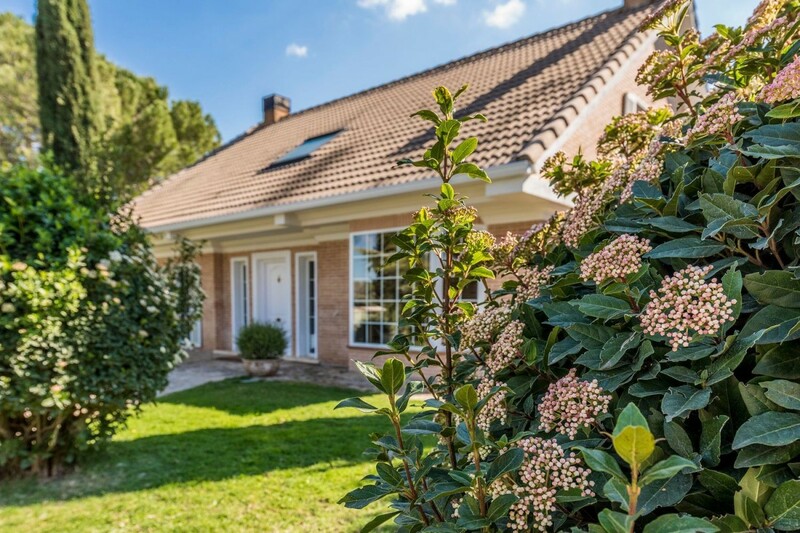 "Located in one of the best areas of Boadilla del Monte" Urbanization Las Lomas "residential and quiet area with 24 hour security. Surrounded by a privileged environment of green areas. 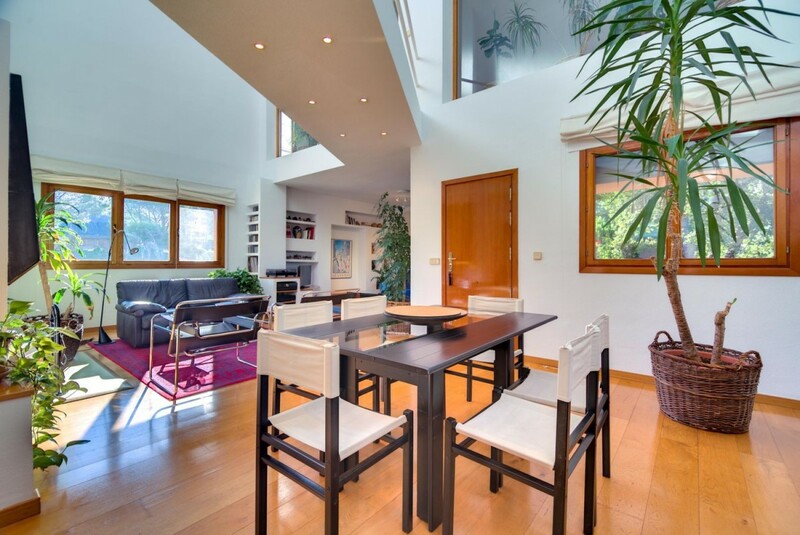 The property is divided into two semi-detached houses with separate entrances and gardens. It can be transmitted jointly or individually. CHALET A MAIN FLOOR: Porch, hall distributor, living room, kitchen, two bedrooms and bathroom. FIRST FLOOR: We find a bedroom en suite and an office-library with access by walkway over living room. GROUND FLOOR: It has a garage, laundry and ironing rooms, bathroom, gym and room. CHALET B Very well connected with buses, light rail, close access to the M-503 that communicates with the M-40, M-50 and A-6. The house is located near prestigious schools, shopping center, sports centers and interurban bus stops.